The Montgomery Democratic Organization is the legal entity representing Democrats in Montgomery, and from Montgomery to Somerset County. Representatives from Montgomery to the County Organization are elected in the Democratic primary every two years (in even-numbered years). Two representatives — a male and a female — are chosen from each of the Township’s 19 voting districts. These 38 elected representatives from Montgomery to the Somerset County Democratic Organization then make up the local Montgomery Democratic Organization, along with local elected officials and other interested members of the community. Our organization is open to anyone who shares these goals and is willing to work cooperatively toward them. 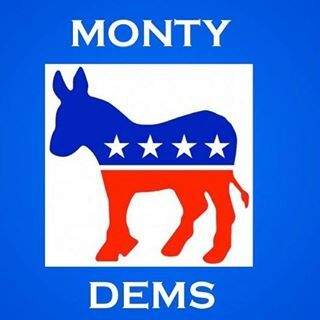 Official duties of the Montgomery Democratic Organization (MDO) include recruitment and support of candidates for municipal (Montgomery Township) elections. MDO delegates also vote at the annual convention of the Somerset County Democratic Organization in order to help choose the official Democratic Party candidates endorsed by the County. In addition, the MDO works on the election campaigns of local Democratic candidates, and with the county, state, and national Democratic Party organizations on county, state and national elections. The MDO meets monthly, and meetings are open to any interested Democrat in Montgomery. Meetings are generally held on the fourth Monday of each month at 7:30 p.m. in the Otto Kaufman Community Center.